My Ripple Launches Spires - Rocking ITX Main Board Case ! A new model main board case features a fantastic design named “Spires” has been launched by My Ripple. 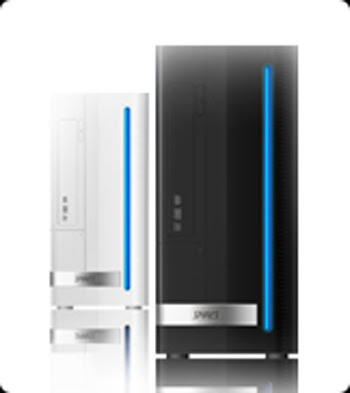 In order to expand the mini PC market based on its Mini ITX form factor in Korea. This case comes in black and white with a blue LED line. At the same time, this case has a power supply of the Micro ATX size to enhance the completeness of the hardware that PC users want. Till now in the market, the power supply supporting case of ITX size were produced small and they have low rating output power that multi core processors or periphery could not be used. At the same time, the Spires “Blue Eye” case doesn’t have the inconvenience of having to use a case of a large Micro-ATX size because of the power supply. In the case, you can have a vast space to assemble HDD and ODD.